As a writer, do you measure success by the numbers? You shouldn’t, because the numbers game is a game you can’t win. For example, let’s say you crafted a short story about a woman suffering domestic abuse, and your story was published in an ezine that allows reader comments. Would you feel successful being published, or would you measure your success by the number of comments posted? And how many comments is enough? Maybe you’re a poet, and your poem about discovering the beauty in an unknown future finds a home in a university literary magazine. Would you feel successful receiving the congratulatory email from the publisher? Or would your triumph wane as you begin to wonder how many people are going to read a poem in a magazine with a circulation of 1,000? Let’s say you’re a novelist. You’ve dedicated hundreds of hours writing, revising, and editing a young adult novel and you’ve found the courage to self-publish it. Do you consider that an achievement or will you let your success be dictated to you in Amazon ratings? What if the only number you concentrated on was one? One woman read your story about domestic violence and realized she’s not alone. One boy at college found your poem and learned it’s okay to be confused. One teenage girl downloaded your young adult novel and found a kindred soul. 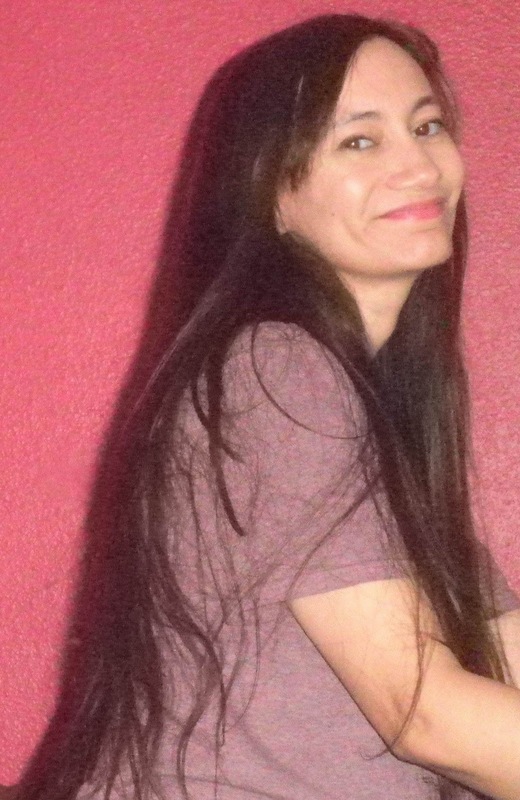 Elizabeth Naranjo is a writer in Tempe, Arizona. Her work has appeared in Literary Mama, SLAB Literary Magazine, Hospital Drive, The Portland Review, Babble.com, Phoenix New Times, and the Arizona Republic. For links to Elizabeth’s work, check out her website at http://www.elizabethmarianaranjo.com/. Elizabeth--This is the exact same philosophy I embrace when it comes to teaching. (I work with 3rd graders.) If I reach one student and make an impact with that one child--of course, I hope to reach many more than one--I feel like I made a difference. Thanks for putting the numbers in perspective for us, Elizabeth. In this day and age of social media and platform building, it is very easy for authors and writers to become overly obsessed with the numbers. It takes away from the creativity of the journey and the joy of expressing, though. I realize, to be successful, one has to balance both. But the bottom line is always the creation. Great post-- thanks for sharing your thoughts and reminder to feed the artist rather than the statician. Yes! Thank you - Geeze! Do I need this reminder all-of-the-time! I'm so glad you included that last line about writing for just yourself, which can also "make a difference." Journaling can be therapeutic, inspirational, and/or helpful, making a difference in your own life... and often extending out to other people too. Sioux, it's a few days early, but Happy Teacher Appreciation Week! You are so right, Elizabeth! Thank you! Like Julie mentioned, in this day of social media it's easy to be obsessed with numbers. We want more blog comments, more shares, better ranking, more authority, but I think the important thing is reaching the right people--your intended audience. For example, I personally know at least two people who posted on HuffPo and received thousands (yes, thousands!) of comments. One of the writers, who is actually on staff here, received death threats to her family from several people who were connected with malicious groups. When there are that many comments it can be dangerous for the author to even respond. So I think if a writer is happy with the journey, with the process of creating the work from idea to finished piece, she is that much richer. I loved this post, It is something I definitely need to remember as a children's book author and a blogger! It's a good way to make yourself crazy. Thanks for this important reminder! Thanks for the read. Writers rarely get feedback due to the medium's nature, and the statistics on blogs are often skewed by spammers to a disheartening degree. But your points all ring true. I check my blog stats daily, but I'm not concerned about the numbers of visitors...or any other number. I'm looking at the types of posts readers are checking out and where readers are from. I've discovered some interesting patterns and I think it helps me consider what topics I write about so they keep returning.